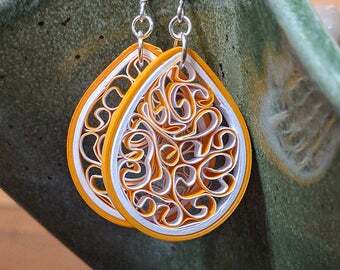 Treat yourself to this one-of-a-kind paper earring! 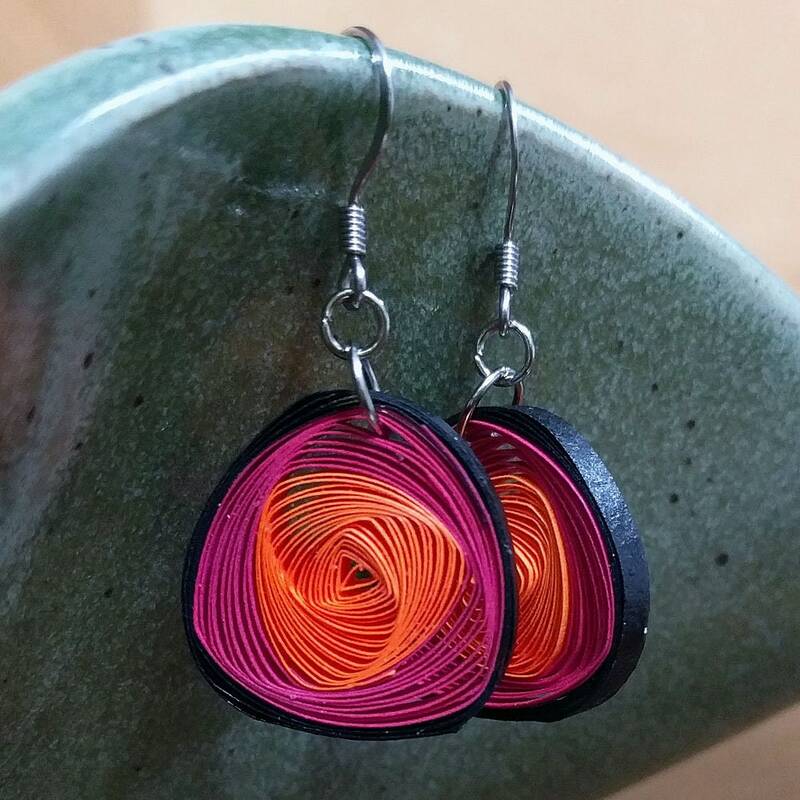 It features a vibrant orange and pink vortex design. 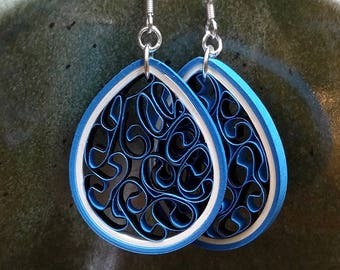 Its elegant and sophisticated design makes it a perfect accessory to wear either every day or to formal events. 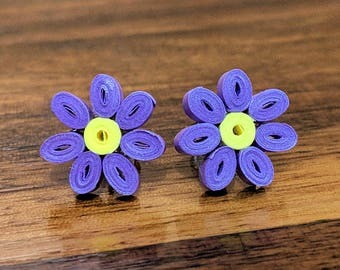 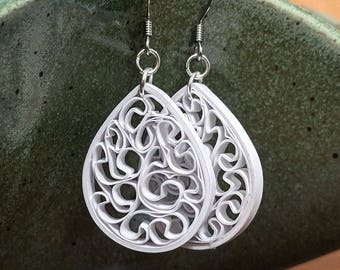 This unique earring is handmade and made completely out of paper. 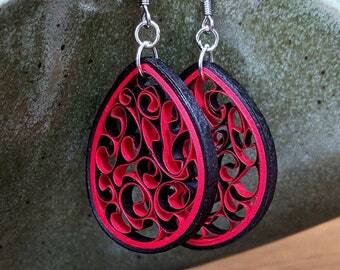 These earrings are so comfortable to wear because they are extremely lightweight! 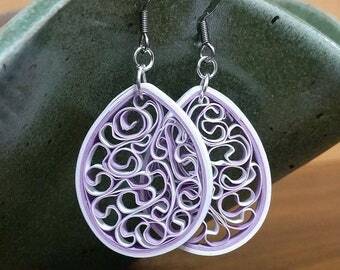 Each earring has been carefully treated with a clear coating to make it very durable. 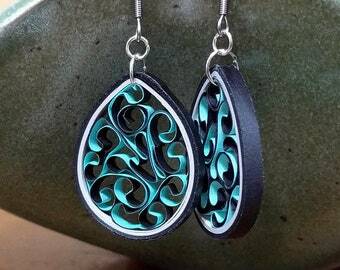 The clear coating stiffens the paper so it doesn't shift or warp while being handled. 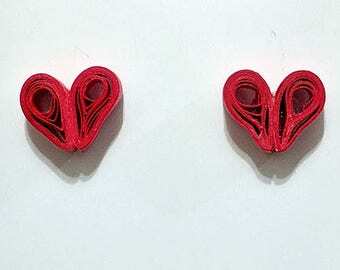 Approximate Size: The paper earring design is 0.75 inch by 0.75 inch. 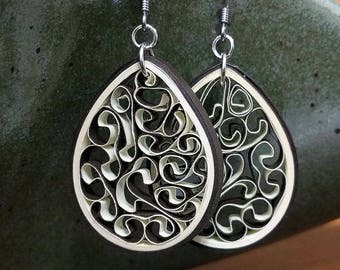 From the top of the earring finding to the bottom of the paper design is 1.5 inches tall. 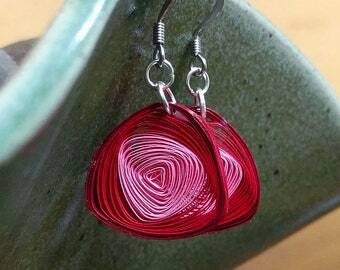 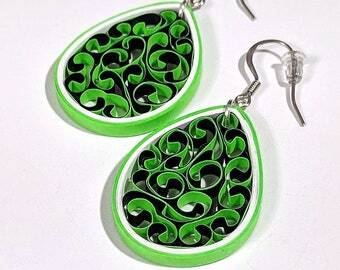 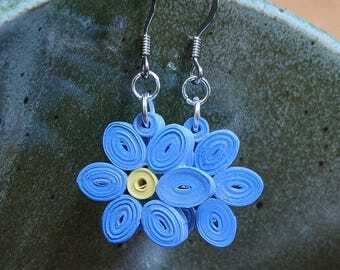 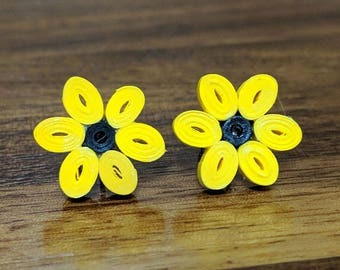 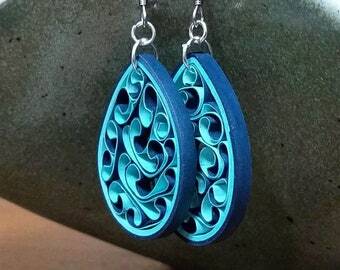 Each earring is handmade using a technique called quilling. 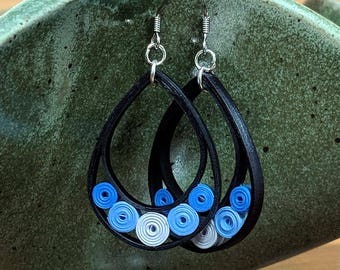 This design features a style with tiny paper beads inserted into a paper frame.